This ground level Bedroom Suite features a king bed, a full size closet, a bathroom with vanity and tub shower, a television with premium cable and a DVD player. This room also has a private doorway to a side patio area. 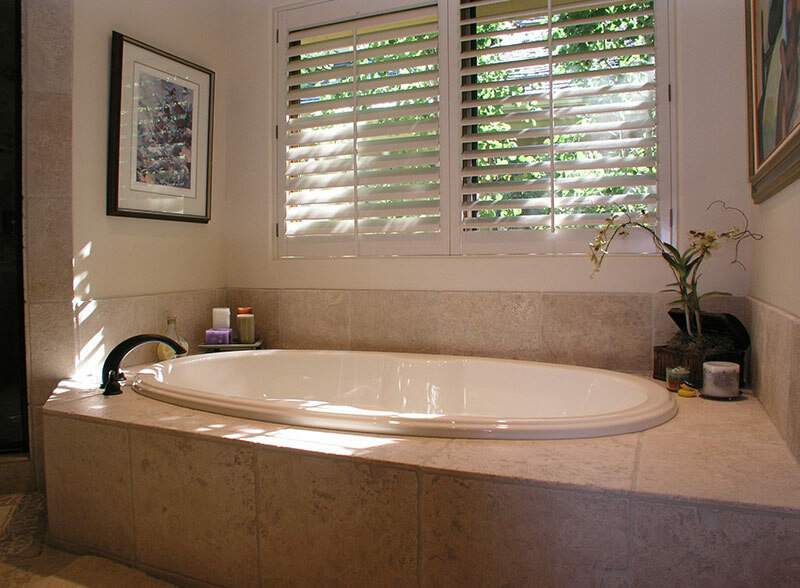 Come sit and relax in this spacious jacuzzi tub that is located in the Master Bedroom. The Guest Retreat on the top floor includes the following features: a king bed, a bunk bed set, a bathroom vanity with large walk-in shower enclosure, dual closets, a television with DVD/VCR player, large play area and brown leather couch.